For this month, the Berlin-based Contemporary And (C&) magazine features Keleketla! 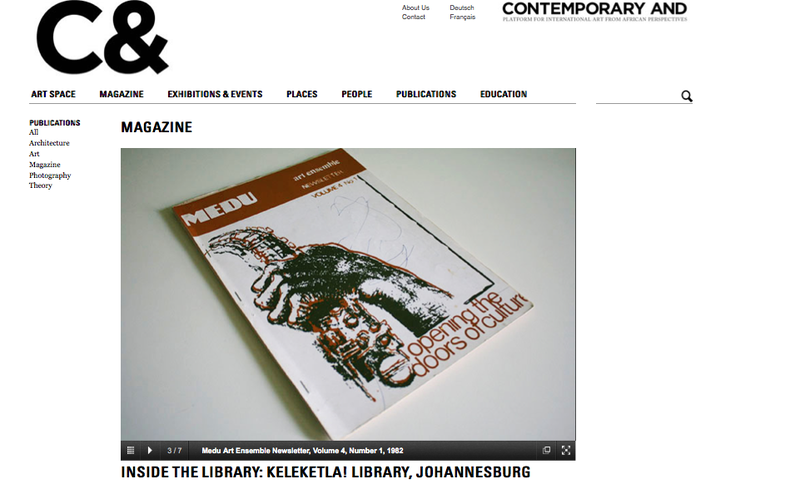 Library catalogue, with a focus on the Medu Art Ensemble newsletters courtesy of Judy Seidman. Next Post Iara Freiberg intervention at K!